Carnival beware, dangerous curves lie ahead! At Funidelia, we think everyone should feel happy and comfortable when dressing up. 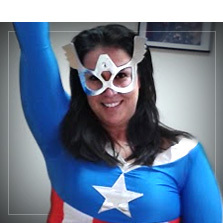 Let yourself get inspired by the plus size costumes we’ve prepared for you in our online catalog. Browse our XL and 3XL costumes, ideal for becoming who you want to be at the next costume party. At Funidelia, you’ll find plus size costumes for women and men that perfectly adapt to curvier figures. Become a trendy superhero, a medieval barmaid, your favorite Disney Princess or a rebel pirate of the high seas. Whatever your style or favorite theme, we have the best fuller figure Carnival and Halloween costumes. 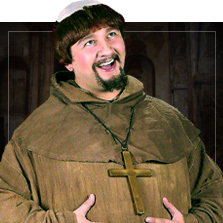 Show off your style and have fun with our unique plus size costumes. 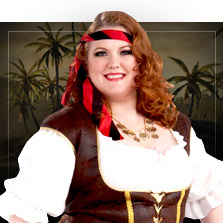 Buy your favorite plus size costume for women and men online and look and feel great at the next costume party!